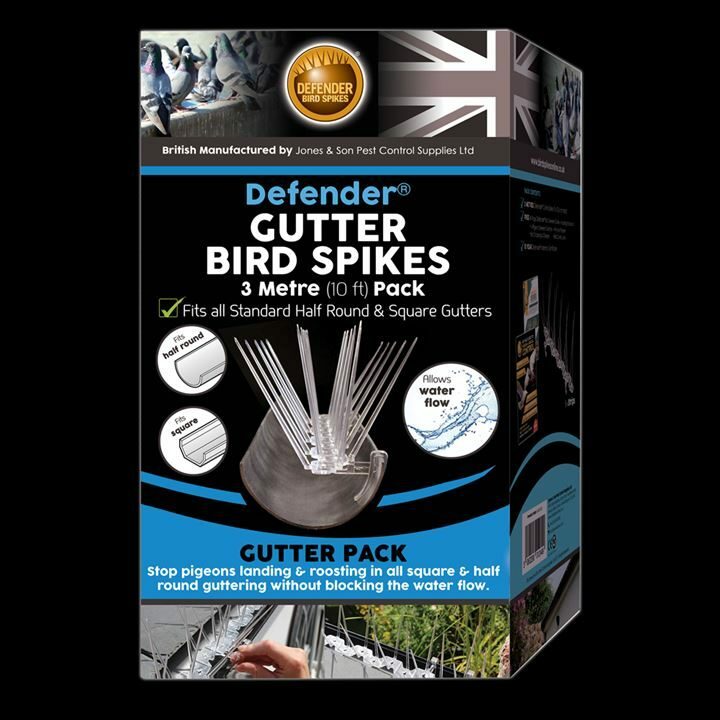 Stop birds landing in your gutters with the Defender® Gutter Bird Spikes 3 Metre Pack. Pigeons love to perch high up on buildings and gutters provide the perfect spot. The gutter will then fill with bird droppings and nesting materials which can cause overflow and eventual water damage to your property. The Defender® Gutter Bird Spike has integral gutter clips that securely attach to the outside edge, while allowing for water flow underneath. No other tools are needed. An interesting pigeon deterrent guide is also included which contains information on why pigeons have chosen your property. All the Defender® retail packs are made, designed and supplied by, Jones and Son Pest Control Supplies in Devon. Our warehouse is open to customers who wish to see how our gutter spikes and gutter clips are made and to get advice from our team on proofing your gutters or hoppers. If your bird proofing job requires 60 strips (20 metres) or more of gutter bird spikes, look at Defender® Gutter Spikes page where larger amounts can be purchased. 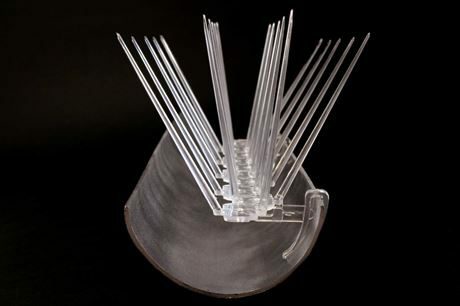 The Defender® Gutter Bird Spikes will fit all standard half round and square guttering, including hoppers. Defender® Gutter Spikes come ready to use with no assembly required. Simply take the spikes out of the packaging and press onto the guttering lip, using the integral plastic clips. The clips are placed on the outside edge of the guttering, which positions the bird spikes in the centre, keeping pigeons out. For a simple guide to installation, please click here Defender® Gutter Bird Spikes - Installation Guide. 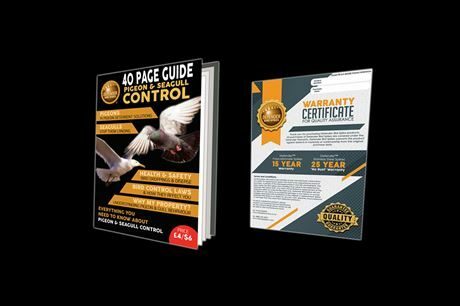 However, there is a great installation guide on how to correctly install our gutter spikes on the actual pack itself and within the informative pigeon Deterrent Guide which is included. 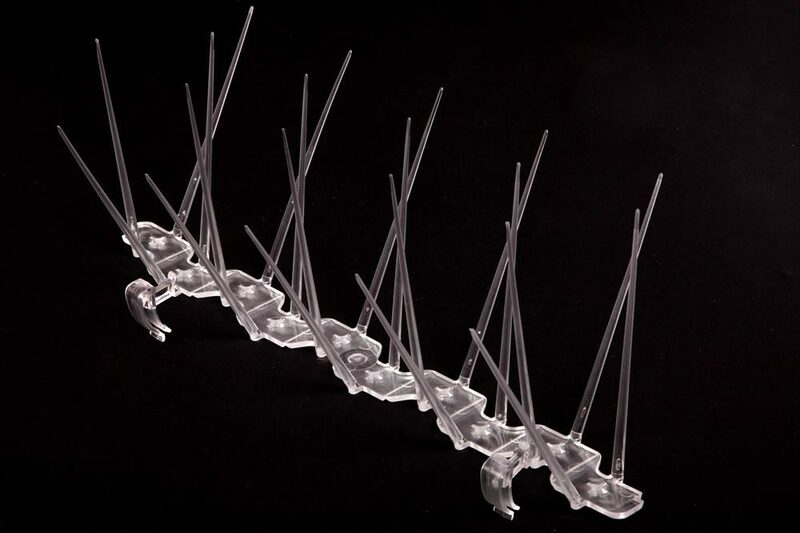 Defender® Gutter Plastic Pigeon Spikes are made from super tough Durolon, a UV stabilised polycarbonate. this type of plastic is used as it will not discolour or become brittle in direct sunlight and extreme weather conditions. The spikes will stay strong in the varying temperatures we experience throughout the year. The gutter spikes are very discreet when installed and are virtually invisible from the ground. Every strip of Defender® Gutter Spikes comes with 2 clips pre-attached for easy fixing to the gutter. Along the actual base of the gutter spike, there are 8 grooves that make is snappable to smaller sizes if needed to finish a run of gutter, or to fit to a a smaller hopper. The clips can be carefully pulled off and re-attached further along the strip by just clicking into the required position. Our Defender® Bird and Gull Spikes have stopped pigeons and seagulls landing on properties for years. Please read our Seagull and Pigeon Spike Reviews here. If you have a question about the Defender® Gutter Bird Spike Pack, please contact us and we will help you keep birds off your roof for good!